We pray that like Joseph we relieve suffering and bring hope to those around us. We pray for our family and all parents, especially those bringing up children alone. We pray for families made refugees by discrimination, wars and natural disasters. We pray for the special intentions in our heart…. (Act, Love, Walk, Praying in the Josephite Spirit, 2014). One significant issue is children’s exposure to social media and electronic media in general. There are some very good websites that can assist parents in clever strategies to teach their children and monitor their social media use. There are some very good resources online at https://esafety.gov.au that can help you with how to manage technology so it is life giving not life taking. This week's assembly is presented by the students in 4G. Parents of 4G children are invited to the staff room after assembly for a cup of tea or coffee with Mrs Halley McCormack. Cake Stall: The Year 5 classes will be holding a cake stall in the multi purpose area on Friday 22 March. Please come along and support their fundraiser. A reminder to the Year 5 parents who will be baking for the cake stall that OLG has a Nut Free policy. 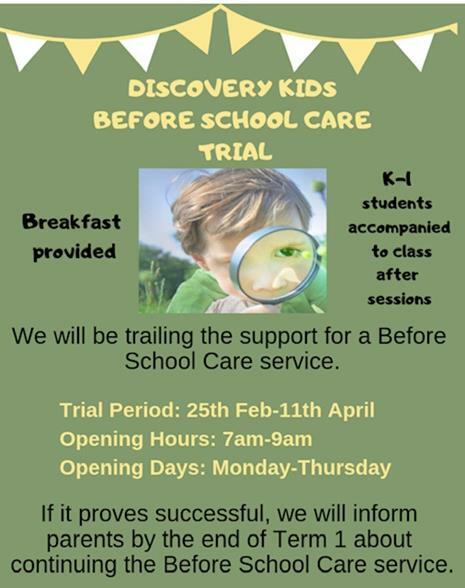 Kindy Parent/Teacher interviews will be held in Week 4, Term 2. Thank you to all those who have expressed an interest in joining Rhyme Time. 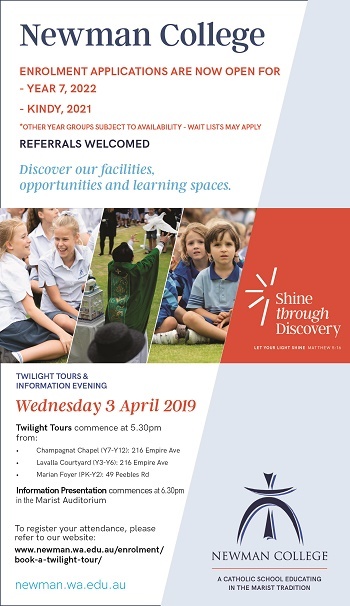 We will be having an introduction session on Friday the 29th March after the school assembly. 9;15ish. We will recommence next Term on the Friday of week two then follow on the even numbered weeks/fortnightly. Scholastic book club order forms were sent home this week and all orders must be returned to the library (not the office or classroom) before 8.30am this Friday 22nd March, whether you’re paying by cash or paying online. Please note, no late orders will be accepted! Please use the book club LOOP (Linked Online Ordering & Payment) system if paying by credit card at www.scholastic.com.au/LOOP it's easy and there's no need to fill in the order forms or send anything to school! 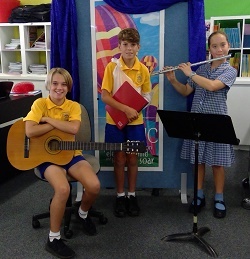 Towards the conclusion of 2018, many of our year four and five students auditioned for music scholarships for the 2019 school year. 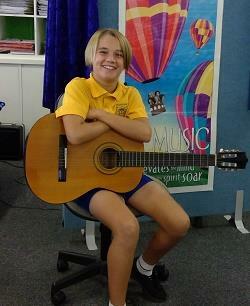 All students prepared their pieces well and performed for a small panel of music tutors. Congratulations to those students for the way they conducted themselves, showing hearty enjoyment of their own music and for the way they supported each other. The three recipients of the scholarships are Savannah Lauri - flute student, Fraser Paton - guitar student and Tamer Christou - piano student. Congratulations Savannah, Fraser and Tamer. We all wish you a wonderful year of musical progress. The P & F Committee is looking forward to sharing our events and meetings with you via FlexiBuzz and the newsletter over the course of Term 1. We’ve included two new Flexibuzz boxes: ‘OLG Fathering Project’ and ‘OLG Business Community’. Please ensure you’ve checked these boxes, along with ‘P & F Events’ and ‘P & F Meetings’ on Flexibuzz to stay in the loop. Big thanks to our events co-ordinators for Term 1, without who we wouldn’t be able to run our events with passion and dedication! We greatly appreciate the generous time given to volunteer in these roles and the effort required to make them a success. And of course, Amanda Doherty for the Easter Family Fun Night. All of these events are critical in helping the P & F Committee strengthen our OLG Community and raise valuable funds in making OLG a better school for our kids. 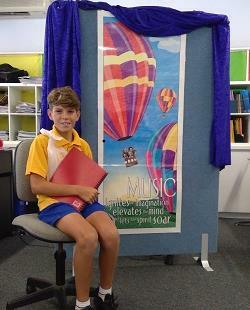 Please join us for our next P & F morning meeting commencing at 9am in Discovery Kids room. Come along and bring a friend for a tea/coffee and find out what the P & F is all about. 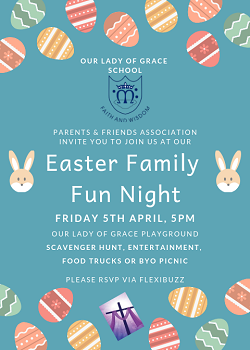 Our Easter family fun night will be held at the OLG Playground on Friday 5th April from 5pm. There will be a scavenger hunt, entertainment and face painting. Food truck will be onsite, or bring your own picnic. 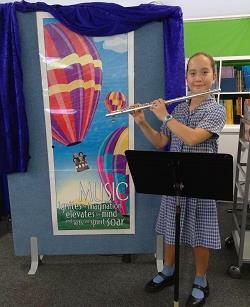 We look forward to a wonderful afternoon with many OLG families coming along to join in the fun. 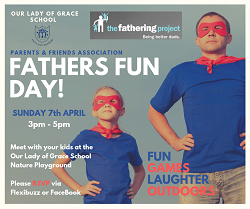 Our first Fathering Project event for the year - Fathers Fun Day will be held on April 7th from 3-5pm at the OLG Nature Playground. Come along and get involved! Dads and kids having fun outdoors while getting to know other OLG dads. Please RSVP via the event listing on our OLG P & F FaceBook page or on Flexibuzz. The OLG Business Community is already making a difference, with 11 sponsorship partners now confirmed, and the funds raised this year will be wisely invested into a number of special projects which will enhance our kids OLG learning experiences. We are pleased to announce another new sponsor and loyal supporter of OLG. Stinson Air and Solar as a new sponsor in our business community! Stinson Air and Solar was founded by Brad Stinson in 1995 and is a multiple award-winning company that provides custom designed air conditioning, smart home products and rooftop solar and battery storage systems to WAs most awarded home builders, homeowners and light commercial projects. Contact the friendly Stinson team for a complimentary design and proposal for all your air conditioning or rooftop solar and battery storage needs. Please contact Tony Papotto or Trish Matusiak if you’re interested in joining other families in contributing to making OLG an even better school! What an amazing grand final series win by the Perth Wildcats. Always great to see the local team do so well. Hopefully the Wildcats’ win inspires our young OLG players in their last few weeks of the season. 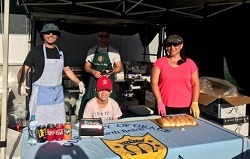 Bunnings Sausage sizzle – What a great result ! 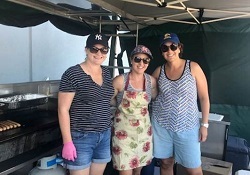 The club held its annual fundraiser at Bunnings Whitfords on Sunday March 17th. Nearly $600 raised towards new equipment for next year. What a fantastic bunch of volunteers. 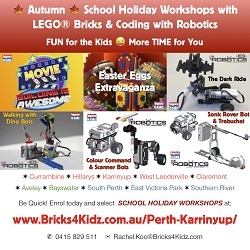 Warren & Jack Williams, Marcia Scoon, Damian Hicks, Eddy Krajcar, Tracey Retamal, Alex Krajcar, Tania Muller, Mark & Imogen Guttridge, Sonia Zappacosta, Amanda Jones, Amber Nelson, Hayley MacDonald, Marcus Humphreys and Chanelle Pappas did a magnificent job on the day. A very special recognition to Juliet Taylor, Amber Nelson and Monika Southern for all the organisation work for the event. AGM has been scheduled for 8th April 7pm at the Parish Hall. Would love to have some feedback or ideas from members of how to improve the club. Please forward any agenda items. Come and support the Committee and see how the club is being run. End of Season Player Celebration Wednesday 15th May. Events for each sacrament are listed on the School and Parish Web sites. There are also copies available at the back of the church. Parents will learn the psychological secrets that build their child's sense of identity, strengths and growth mindset in order to perform better, be happier and build resilience. 9 Ways to a Resilient Child is based on Dr Justin Coulson's best-selling book, which shows parents how to help their children cope powerfully and positively with the challenges that life throws at them. This presentation is one of Justin's most popular presentations with powerful stories and illustrations that every parent can relate to. He explains the factors that help and hinder resilience, why common advice such as "toughen up Princess" just doesn't work, and how competition and praise may undermine resilience. We all try to get along at home... but there are those uncomfortable niggles. There's the eye-rolling, the disrespect, the lack of motivation to help out, and the sibling warfare. If we're honest, most adults have been known to shout a bit too, and let's face it, we don't always listen that well to our kids. Conflict and friction at home cause more trouble than we need, and interfere with everyone's wellbeing. Wouldn't it be great if there were some simple, practical things we could do to help everyone get along better - starting right now? In this session, you'll learn the best 'relationship rules' for a happier family so home life really does feel loving... most of the time! The presentation will be followed by a Question and Answer session. These sessions are for parents only. We hope that parents will use the information they learn to better educate themselves.